There has been plenty of news coverage in recent years of that most modern of phenomena – stalking. It is a crime that is often (but not always) perpetrated by men against women and occasionally it results in violence and death. It’s not a theme that I’ve particularly noticed in my crime fiction reading. I tend to avoid psychological thrillers and I also find the whole idea of obsession to be very upsetting. 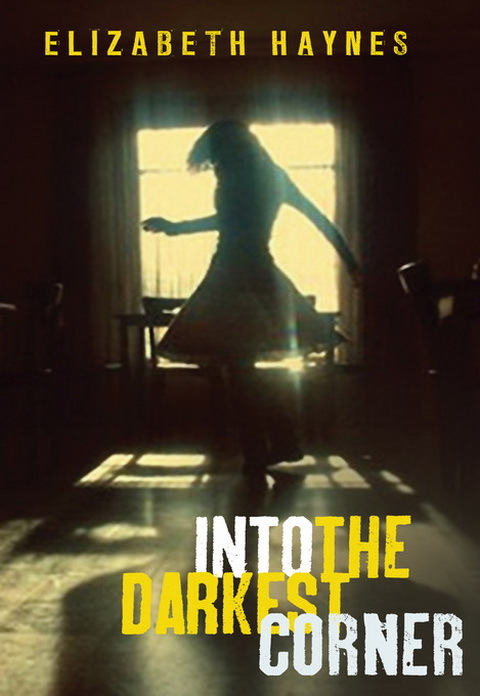 However I recently read Elizabeth Haynes’s excellent Into the Darkest Corner which I found to be a thoughtful and gripping thriller. The most successful aspect of this book was how some of the clichés of the psychological thriller genre were slightly skewed. Lee is revealed to be a policeman and therefore we as readers, as well as Catherine/Cathy, are forced to reconsider where places of safety can be found. The parallel narratives work well because although Cathy clearly considers herself to be under threat, she is also attempting a new relationship which is developed alongside the unfolding of the older abusive one. Again, as a reader we scrutinise the gentle Stuart more because of the way Lee duped Cathy. Haynes is also very good at showing how Catherine changed from an outgoing, sexually active young woman to someone desperate to avoid human contact. Some parts are difficult to read. I found Lee repulsive from the very beginning and although I could see how he would be attractive to a girl like Catherine, I was mentally imploring her to stay well away from him. There is also an interesting take on female friendship which I found to be entirely realistic and added an extra dimension to the book. The fractured nature of the writing, moving between different periods perfectly suited this style of book and I’m looking forward to reading more of this author. I bought my copy of this book. Other reviews can be found at Petrona, Eurocrime and It’s A Crime. That’s a very good point about the odd perspective of the book being unsettling, and providing its strength. I very much enjoyed this book, with the gradual strengthening of the main character — but I have to say I didn’t think her next novel (Revenge of the Tide, not a sequel) very good. Thanks Maxine. I have ‘Revenge of the Tide’ to read next. Sarah – One sign that an author “has” you is when you mentally talk to a character. I’m very glad you found this one as absorbing as you did. It’s very hard to write a psychological thriller about stalking without being clichéd or gratuitous – or creating characters with whom you can’t identify. When it’s done well though you can really sense the fear in as you say an unsettling way. Thanks Margot. I liked the way we saw Catherine change to a completely different character over the book. Great review Sarah and I agree with you about the book – a superior kind of psychological thriller. The point about Lee being a policeman or having similar authority is a good one – and a real world problem – a friend’s sister is a psychiatrist working in the recruiting arm of our police department – one of her main tasks is to help weed out people like Lee who are, for obvious reasons, attracted to the job and able to hide their nastier traits. Worrisome! I hadn’t thought about that Bernadette but of course it’s only natural that some personality types would be drawn to the police. Glad to hear that there are checks in place. Great review. I like the twist on the stalker being a cop. I just finished a great book called, ” Kincaid and the Legal Massacre” by author Curtis D. Carney. This a fiction novel a wildlife biologist is sent to the Bering Sea on the Pribilof Islands where he is engaged in a struggle to restrain the massacring of Northern fur seals while trying to rescue the the native Inuit wives from rogue kidnappers.